Download the final report of the Roadmap for Accelerating the Deployment of Electric Vehicles in Canada (2016 to 2020) – pdf. 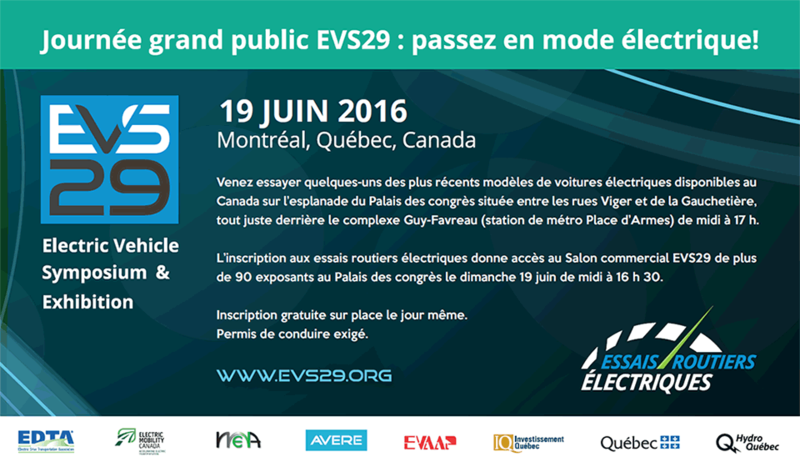 During EV2015VÉ – our last annual conference in Halifax in May 2015 – a full half-day was dedicated to the updates of the EV Roadmap, an initiative undertaken by EMC under a mandate from Natural Resources Canada. Two consultation sessions covered four themes: communication & awareness, car sharing, infrastructure, R&D and pre-commercialization. These consultation sessions were the occasion to have open discussions with key EV experts on many critical aspects of EVs and to draw conclusions that will be useful for the Roadmap action plan. You will find below the presentations that were made in Halifax on each theme along with a summary of the discussions. Work is still underway to discuss hands-on action plan and collaboration with various stakeholders. Please contact our President & CEO, Chantal Guimont, should you have any question or comment: chantal.guimont@emc-mec.ca. The Roadmap is the responsibility of the EMC HUB Committee.